Expert Center: Children’s Entertainer: What great qualities they are to have? 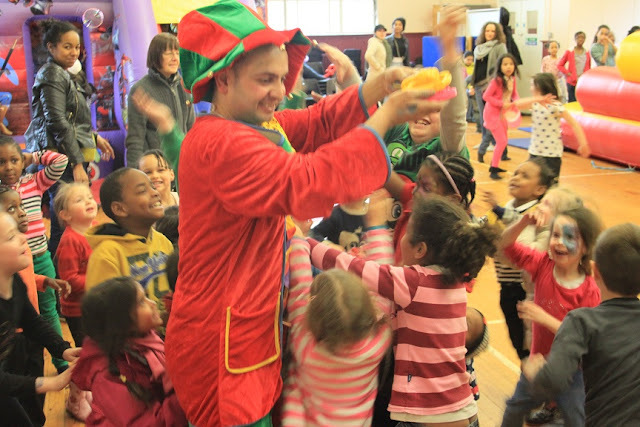 Children’s Entertainer: What great qualities they are to have? Your child’s birthday could be perhaps around the bend, prompting you to make arrangements to ensure that this day is made exciting and fully entertaining as much as possible. Children’s simply love birthday parties and having your little one’s friends invited to the party will only make him/her to love you all the more. Parties generally involve different types of games and fun activities. There are jokes shared by kids and adults alike and some may even hire clowns to do acts and performances that will make the party all the more interesting. It is the professional kids’ entertainer who can be expected to do a fabulous job to keep all the guests and the little ones completely entertained from the start to the end of the party. It is very much important to hire kids’ entertainers who have the following qualities in them. Only then can your kid’s party be a big hit. Have a pleasing and jolly personality: If you are a serious or shy type of person, then this is not the job meant for you. Entertaining others, specially children of different ages, is not an easy task. It is something that should come natural. The person need to be jolly. Grumpy personalities are better avoided. Patient: It does require a good amount of patience to handle children and to keep them thoroughly entertained. The person is to know how he/she is to deal with the youngsters and to handle well their emotions and moods. Those who have not experienced little ones before are likely to face a mammoth task as kids’ entertainer. Highly energetic: It is a known fact that children are vigorous and filled with energy. Therefore, the entertainer is also expected to be bouncy. He/she should be physically fit and play with the children, perform various types of physical activities prompting them to follow the same. Childlike or youthful: Having just the above mentioned qualities will not be just enough. The person will not be able to perform his tasks as a child entertainer, in case, he is not able to release naturally his inner child. Giving entertainment to adults is easy when compared to providing joy and happiness to the child. It is only by being youthful that the person is able to connect in a better manner with the children. Watchful actions and words: Children would not simply be able to understand jokes that are meant for children. Therefore, the entertainer needs to be wary of the words he uses including his actions. Rather, he needs to set a good example for them to follow. The truth is children’s minds are just like sponge. They can absorb easily whatever they hear or see and also imitate the entertainer. So the entertainer is expected to be good and perform actions that are appropriate for children. It is for this reason, you need to be double careful when you plan to hire a kids’ entertainer for your son’s or daughter’s birthday party.